Young Invincibles is committed to ensuring that our work is driven directly by the priorities of young people. Our Youth Advisory Boards (YAB) provide young adults the opportunity to weigh in directly on how a youth-led organization is run, and helps us ensure that our work consistently supports our mission and amplifies youth voices nationally. YAB members enjoy leadership development through trainings and advocacy throughout the year, quarterly meetings with YI staff to discuss ongoing projects and provide feedback, along with the chance to expand their personal and professional networks on a national scale. We have Youth Advisory Boards for each of our five regional offices and one serving with our national office. Each YAB is comprised of 10-15 young adults, primarily students and recent college graduates between 18 and 24. 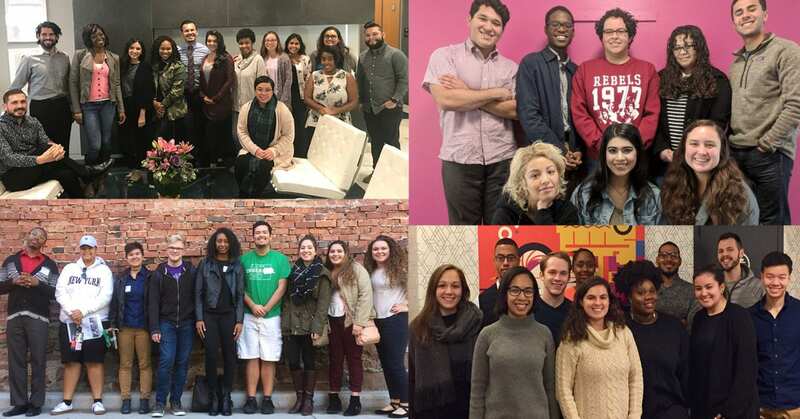 They are composed of a diverse group of young adults who do not have direct voting power within the organization, but who help us keep a pulse on how young adults across the country of all different backgrounds think about our issue areas. Members of the Youth Advisory Board connect directly with YI leadership to provide their feedback on YI’s existing campaigns, highlight areas for organizational growth, identify needs for improvement, and share how our federal work is resonating in their states. Leaders reflect on ways that YI staff can communicate our mission in a consistent way across the country, and help us highlight how our federal priorities align with our state work in way that will help advance our goals. Throughout the year, each leader works with YI staff to develop a plan to bring higher education advocacy opportunities to their campus or community. For more information about joining a Youth Advisory Board, contact staff in one of our regional offices.